And the winner is…Brian Hare! Congratulations, you’re getting a free hardcover copy of DK’s updated and expanded Star Wars Character Encyclopedia. We want to thank everyone who entered. Gotta love some of the bad guy picks. As a consolation to those who didn’t win, I’ll send out a signed paperback copy of Drew Karpyshyn’s Annihilation to the first person who leaves a comment saying who their favorite non-Force user is…but you have to be one of the people who entered the Star Wars Character Encyclopedia giveaway. 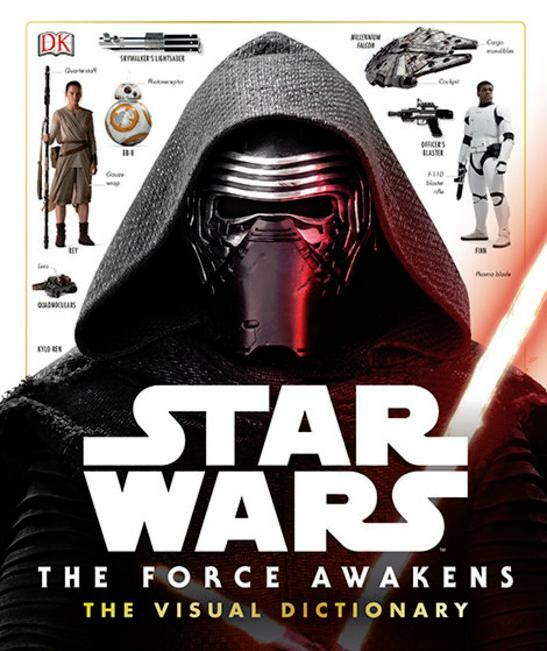 New ‘Star Wars Character Encyclopedia’ Giveaway! DK Book has given us a copy of the Star Wars Character Encyclopedia: Updated and Expanded to giveaway! 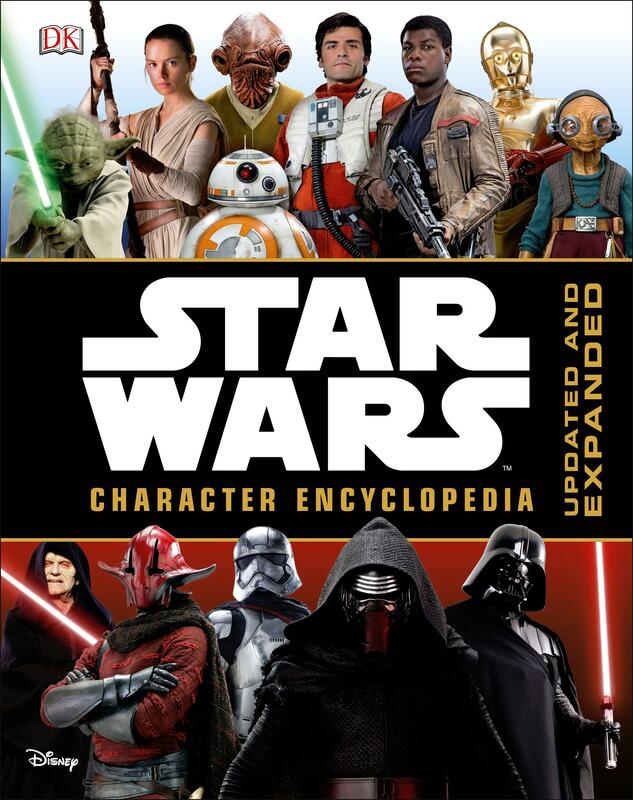 This new version of the book includes a bunch of characters from Star Wars: The Force Awakens including updated profiles for the legacy characters that were in the movie. To enter our contest to win a free copy, just leave a comment on this post letting us know who your favorite bad guy is. We will pick a random winner at the end of the day on Friday. Just be sure to enter your email when you leave your comment so we can contact you. To be eligible for the contest, you must reside in the U.S. and have a mailing address that isn’t a P.O. Box (it’s a large book so it won’t fit). We’re getting a new character guide! StarWars.com revealed Star Wars: Character Encyclopedia: Updated and Expanded. It’s coming out from DK Books and being written by Pablo Hidalgo. The release date is set for April. Carrie Fisher is also coming out with a new book called The Princess Diarist. There’s an excerpt up for The Edge of Worlds by Martha Wells. Follow the link to also check out the pre-orders. Plus the sequel has a name now: The Harbors of the Sun. IGN has an interview with Marvel Star Wars comic editor Jordan D. White which includes a preview of Darth Vader #16. Buzz Comics also has a preview for Darth Vader #16. Star Wars: Absolutely Everything You Need to Know by DK Books might be a tempting book to get in your post holiday shopping. But is it worth it? Click here to read our full review. The 602 Club: Episode 49 is A New Hope discussion featuring guests Bethany and Riley Blanton from Star Wars Report. It’s a great conversation on some broad topics and themes, but they dive deep into them. If you love Star Wars, this one will appeal to you, so that covers pretty much everyone. Great audio quality, great guests, great episode. The 602 Club: Episode 47 focuses on Chuck Wendig’s Aftermath, and it does get into spoilers, though I don’t think it’s anything that would ruin the book. They provide their opinions on the book, pick it apart, but also explore all the possibilities and intriguing aspects. It’s a good episode to check out if you’ve read the book. 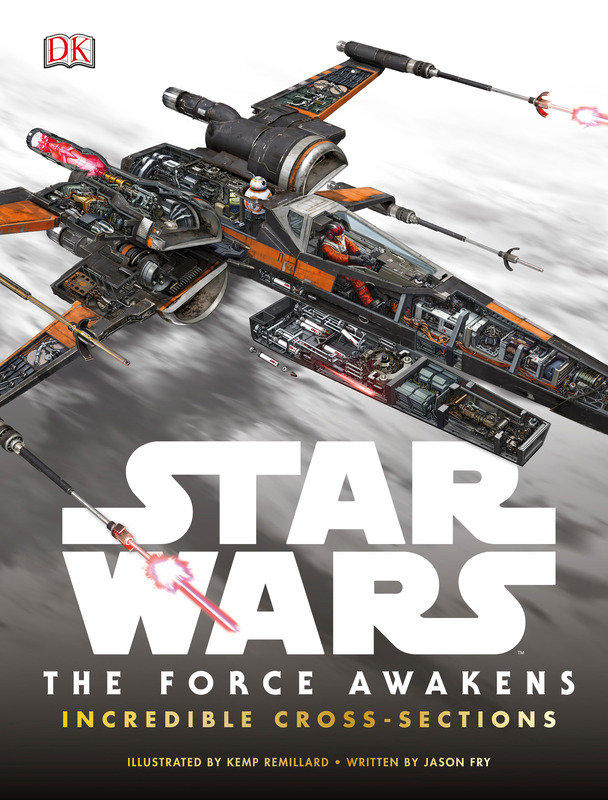 StarWars.com has a bunch of book info on upcoming titles you can check out here including new cover art and summaries. While the Art of and the Visual Guide are new news, Before the Awakening by Greg Rucka is. I really enjoyed his Han Solo novel Smuggler’s Run, so I’ll definitely be getting this one. Nerdist has two animated videos, one of Jason Fry’s The Weapon of a Jedi and one of Greg Rucka’s Smuggler’s Run. They’re pretty cool looking, but might contain spoilers if you haven’t read the books yet. Aside from Star Wars, pre-orders are up for the Warcraft movie prequel novel by Christie Golden. 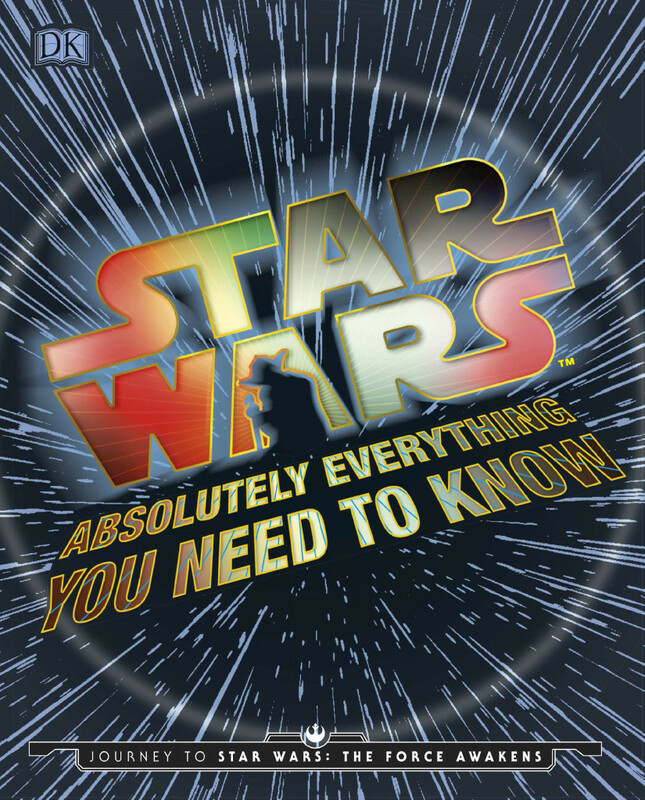 Star Wars: Absolutely Everything You Need to Know by Adam Bray, Cole Horton, Michael Kogge and Kerrie Doughtery is out today from DK Books. Star Wars: Absolutely Everything You Need to Know is crammed with weird and wonderful Star Wars trivia, strange-but-true facts and fascinating “Did you know?” Q&As via a highly engaging infographic design. Find out who cleans the floors of the Death Stars and what takes 1,000 years to digest its victims! From movie-making trivia to quirky facts you never knew, this guide will excite new and old fans alike of Star Wars Rebels, Star Wars: The Clone Wars and the Star Wars movies I-VI.